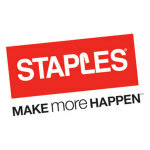 "At Staples, we’re dedicated to helping our small business customers by providing everything they need to make innovation happen in their business, whether it’s the latest new products, essential services or advice and insight"
FRAMINGHAM, Mass.--(BUSINESS WIRE)--Staples, Inc. (NASDAQ: SPLS) is teaming up with “Shark Tank” and entrepreneur and inventor Lori Greiner to help make more innovation happen for small businesses. 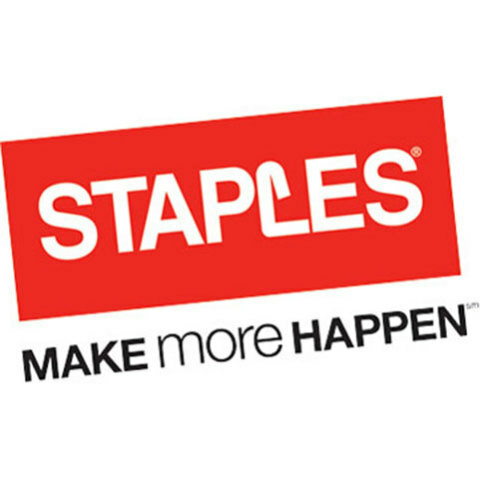 To inspire and help entrepreneurs, Staples and Greiner offered expert advice and knowledge at a business panel in a Staples store in New York City. “Shark Tank,” the critically-acclaimed reality show that has reinvigorated entrepreneurship in America, has also become a culturally defining series. The recipient of the 2014 Emmy Award for Outstanding Structured Reality Program, the business-themed show is in its sixth season on the ABC Television Network. In 2012 and 2013, “Shark Tank” received Emmy nominations for Outstanding Reality Program. Additional recognitions include two Summer Television Critics Association (TCA) nominations for Outstanding Achievement in Reality Programming (winning in 2013), three Critics Choice Award nominations for Best Reality Series (winning in 2014), and three Producers Guild Award nominations. Mark Burnett, Clay Newbill and Phil Gurin are the executive producers of “Shark Tank,” which is based on the Japanese “Dragons’ Den” format created by Nippon Television Network Corporation. 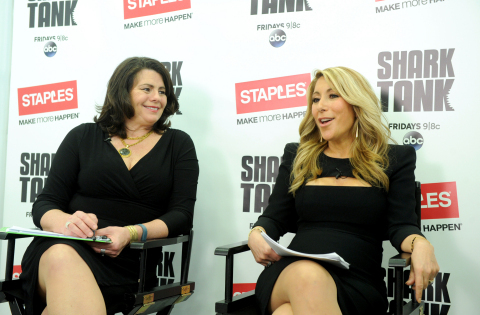 “Shark Tank” is produced by United Artists Media Group in association with Sony Pictures Television. The hit unscripted series reached its milestone 100th episode in November 2014, and continues to be a ratings force, regularly finishing as Friday night’s No. 1 series. Season to date, “Shark Tank” is drawing an average audience of 8.5 million viewers (including all available DRV/VOD playback). “Shark Tank” has spawned a companion series, “Beyond the Tank,” which follows entrepreneurs after the deals are done, and will air on ABC at a future date. It is also produced by United Artists Media Group in association with Sony Pictures Television.